After the warm spring rain yesterday, two more of my reblooming irises bloomed overnight. That makes three varieties that have bloomed this week. Harvest of Memories has been in bloom since Monday, and Sugar Blues and Immortality this morning. Just love the color and can’t wait for the other 15 varieties to show their colors. Bearded Iris Flowers add years of low-maintenance, vibrant beauty to your garden. 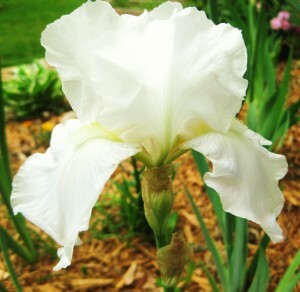 There are a number of reasons why one of my favorite perennial is bearded iris flowers. They’re very low maintenance, can grow in relatively poor soil, require little water, and come in a vast array of beautiful colors. There are varieties that have been passed down through generations, as well as new hybrids created by passionate iris gardeners every year. When I moved into my home 26 years ago, I inherited two varieties in the front yard garden. The yellow Alice Harding which was introduced in 1933, and the Princess Beatrice that was listed in a 1931 edition of the Indian Spring Farms catalog and possibly dates back to 1898. I think it is amazing that there are perennials in my yard that have been blooming every year since long before I was born (it’s one of the many reasons why I love perennials so much). 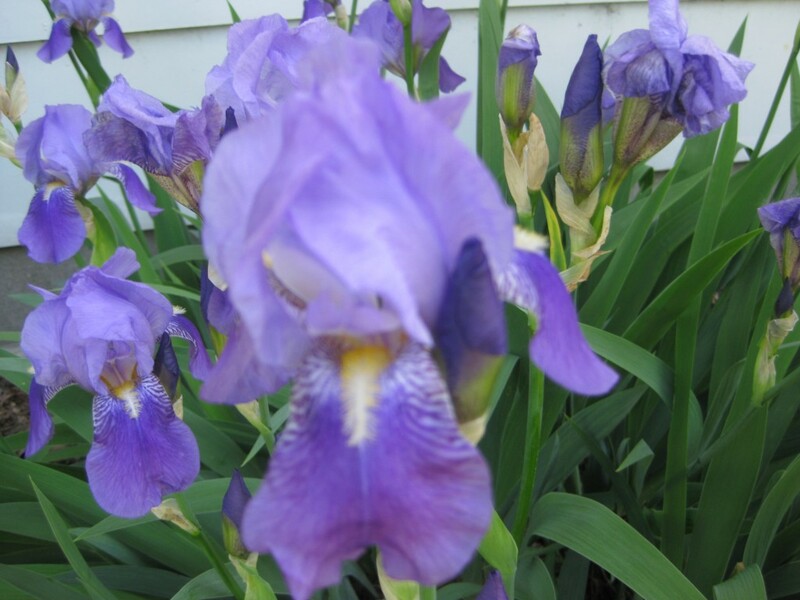 There are a few things to consider when planting and growing bearded iris flowers. They can be grown from seeds (which can be very rewarding, but also requires a fair amount of patience), but more commonly are grown from rhizomes. The rhizomes should not be fully covered with soil, but rather planted so that the top of the rhizome is slightly exposed above the ground. 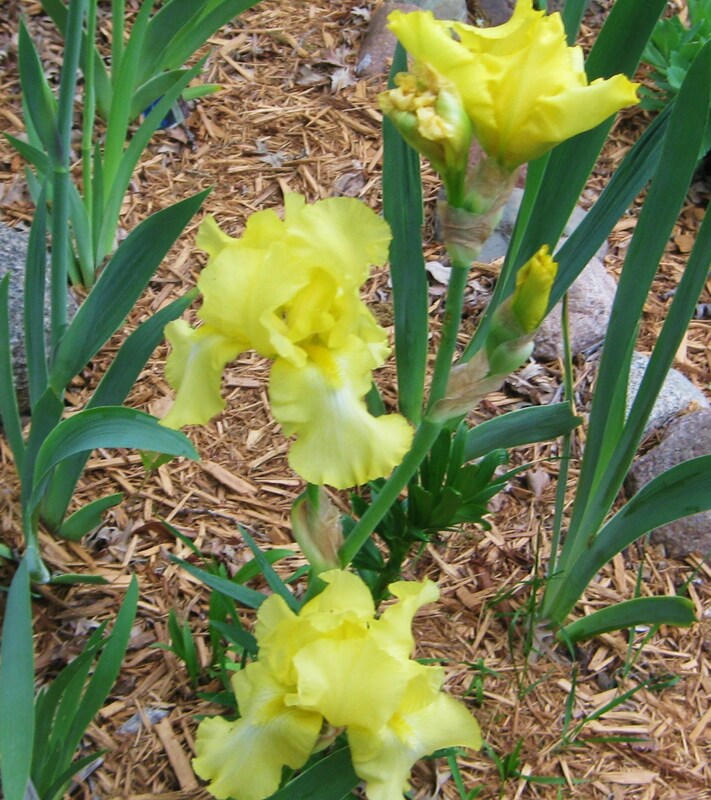 The bearded iris flower rhizomes will grow in most soil types but should be in an area that is well drained. They like a lot of sun, but will also bloom in partial shade. Do not cover the soil with mulch as they roots need air to breath. A common pest of the bearded iris flower is the iris borer which makes it’s home in the root and spreads easily from plant to plant as they develop into moths as adults. Evidence of a borer infection is brown spots on the leaves. Bearded iris flowers should be divided every 2-3 years so they don’t become overcrowded, which is apparent when the middle section of the plants start to recede in growth. A good time for dividing and transplanting bearded iris flowers is after they’ve bloomed. Dig them up and trim off the green tops. Inspect the rhizomes for evidence of the iris borer and remove any infected portions. The rhizomes can be soaked in a solution of 10% bleach water to kill any remaining eggs or borers. 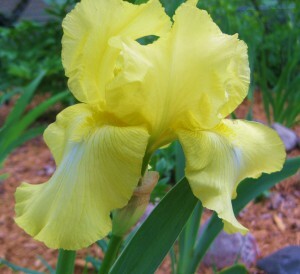 Reblooming iris flowers offer color in the garden throughout the summer. 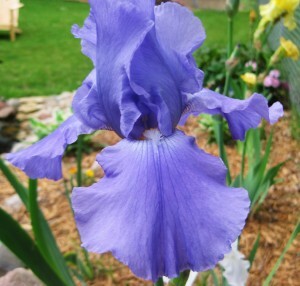 The reblooming variety of bearded iris flowers bloom once in the spring, and under optimum growing conditions, bloom a second time in the fall. 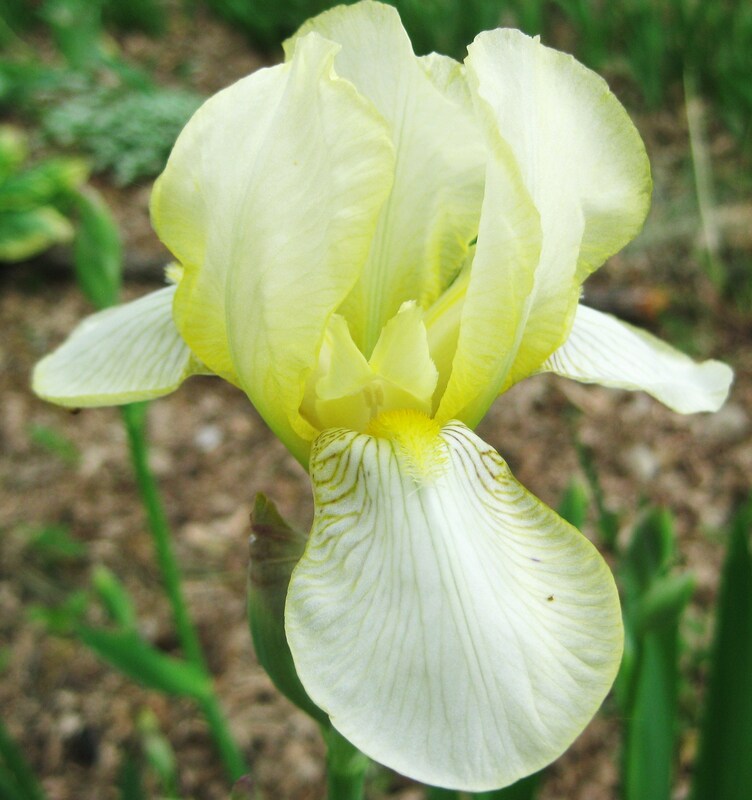 For more information on choosing and growing bearded iris flowers, check out the iris gardener’s encyclopedia.